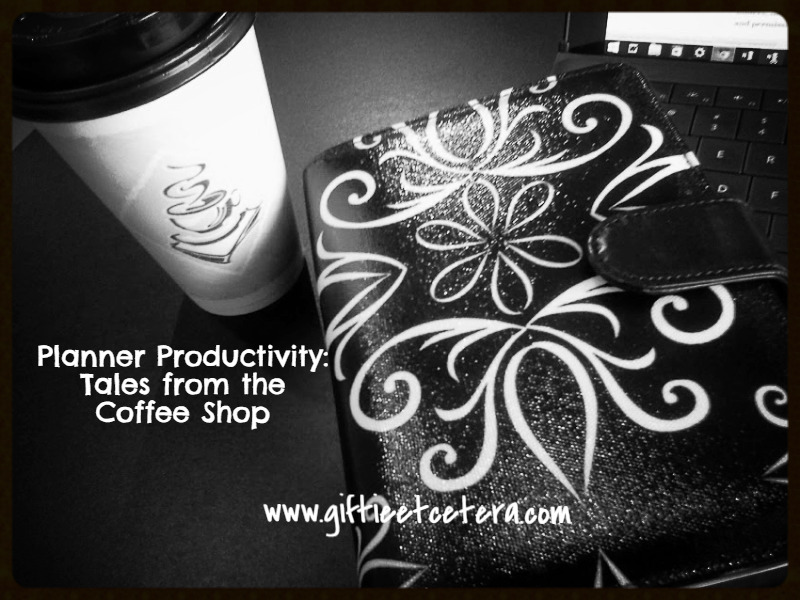 I have two tricks to being extremely productive - using a planner and visiting coffee shops. Now, I know what you are thinking. Caffeine. But caffeine is not my productivity trick. I have some caffeine every day, whether I leave the house or not. But I leave the house, planner in hand, and magic happens. The thing about a coffee shop (or a library, if you want to go for free) is that I have to focus on work. There's nothing else to do. Add my planner, complete with a list of things to accomplish, and I am on fire. Next time you are stuck in a rut - piles of filing to do, a big report to research and write, or stacks of e-mail to process - pack up a bag and head out of the office or house to a coffee shop. You'll trick yourself into being productive. Oh the power of coffee! I really enjoy working at coffee shops. The smell, the atmosphere, and of course, the boost from my coffee purchase. It's really productive.